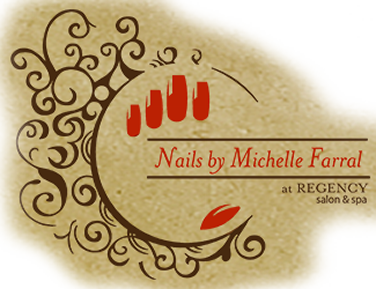 Hand and foot services offered by Nails by Michelle Farral range from my signature or exfoliating manicure and pedicure with a callous remover that keeps your souls fresh. I only use top-of-the-line products and practice techniques that keep your nails healthy and beautiful between scheduled visits. Be sure to check out my nail enhancement packages to make your visit to my location in Greenville, South Carolina complete. My standard manicure includes a soak to soften the cuticles, followed by a cuticle treatment, shaping of the nails, lotion, and polish of your choice. This extra treatment includes a special soak in a citrus and tea tree milk bath; followed by a gentle exfoliating massage with a blend of citrus, grape seed oil, and mineral salts; and a cuticle treatment, shaping of the nails, citrus hydrating lotion, and polish of your choice. Are your toes ready for vacation? Do your hands and nails need some special attention? If so, try my combination exfoliating manicure and pedicure treatment. Your hands and feet will thank you. This is a standard pedicure where your feet are soaked in a jetted bath, followed by a cuticle treatment, filing of the nails, lotion, and polish of your choice. Try my longer pedicure, where the feet are soaked in a jetted bath, then treated with a gentle exfoliating massage with a scented salt scrub. 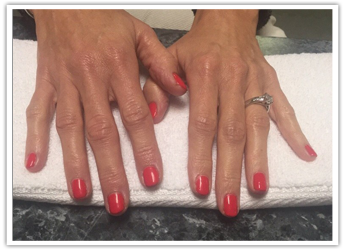 This is followed by a cuticle treatment, a shaping of the nails, a citrus hydrating lotion, and the polish of your choice. The pedicure of all pedicures, it includes a jetted foot bath, followed by the application of a callus treatment (which helps to break-down stubborn calluses). This treatment softens calluses, and is followed by a gentle exfoliating massage, cuticle treatment, filing of the nails, lotion, and the polish of your choice.